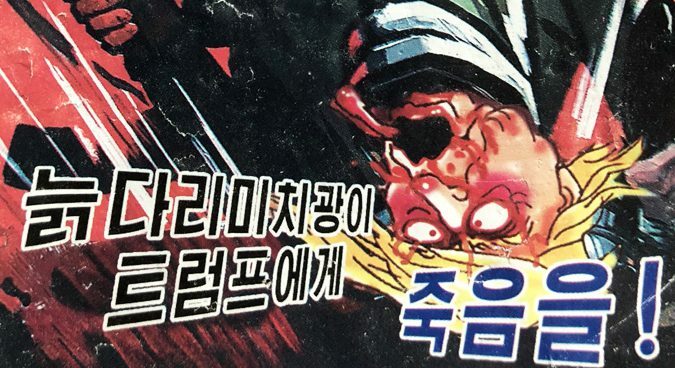 “We need to give death to old crazy man Donald Trump"
A graphic propaganda leaflet found by NK News in central Seoul over the weekend calls for the death of U.S. President Donald Trump, with his head crushed under the boot of a North Korean soldier. “We need to give death to old crazy man Donald Trump,” the leaflet says, which was likely sent from North Korea by balloon. “Complete extermination” reads a slogan at the top of the design. 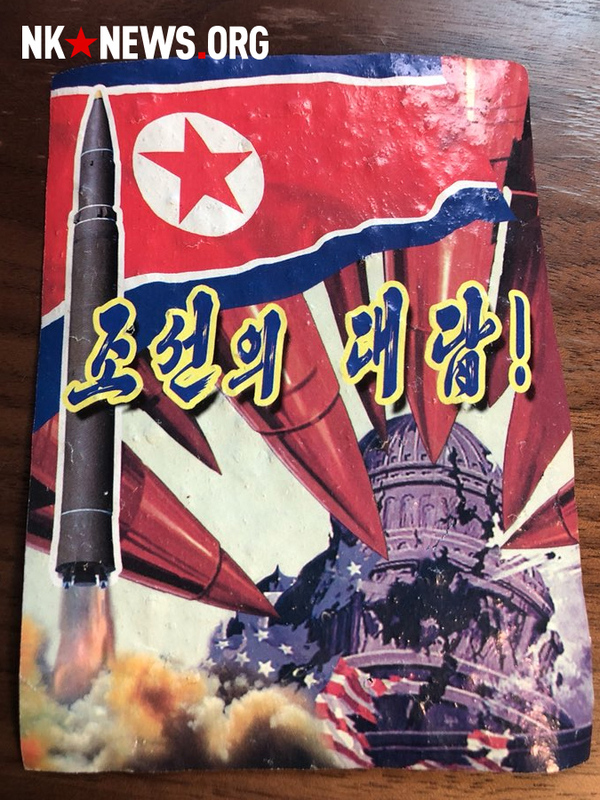 The back of the leaflet shows a message saying “Chosun’s answer” and includes a design of a missile attack on Washington, DC. The emergence of the sole leaflet in a downtown Seoul location – opposite a police station – follows two weeks of North Korean leaflets showing up around Seoul, all of which have most likely been sent by balloon. “Wind direction in September decisively favored launching from South to North, but October winds have been all North to South,” said Pastor Eric Foley, CEO of the Voice of the Martyrs Korea, an NGO which regularly sends leaflets by balloon to the North. 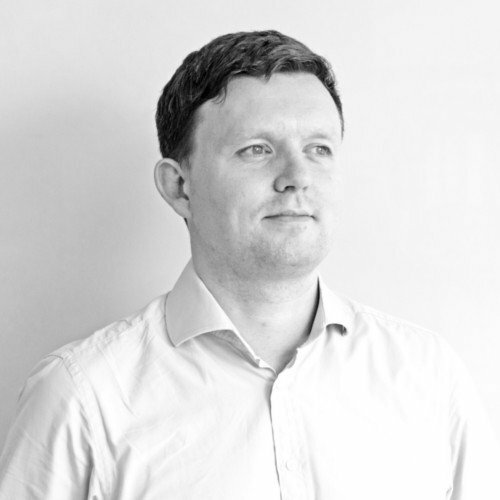 “Whereas September was prime launching weather for us, October has been day after day of prime launching weather for North Korea, and they have clearly been prepared. 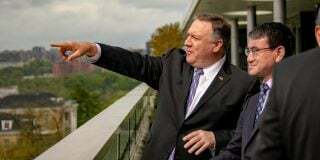 The balloons are sent from the North Korean side of the border and burst at high altitude over Seoul, with the cargoes of leaflets subsequently falling across wide areas of the city. 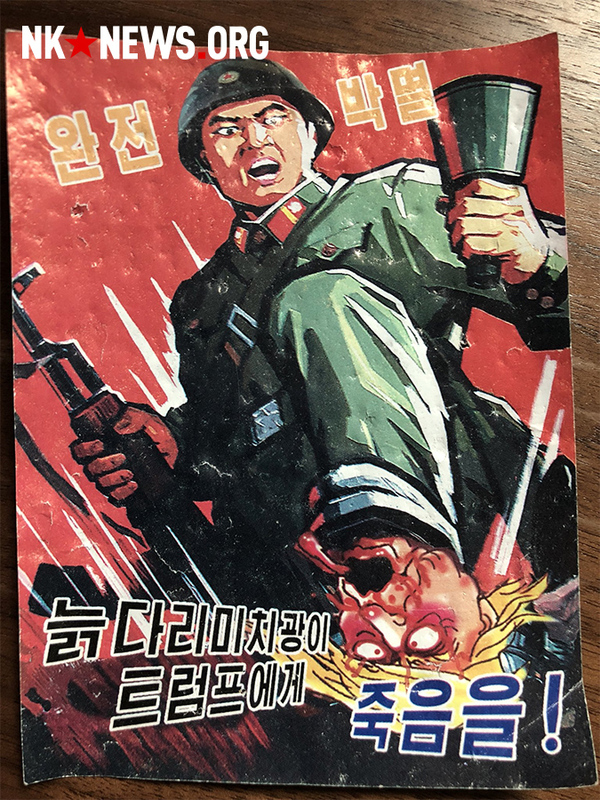 North Korean propagandists send the leaflets with the hope of stimulating support for Pyongyang’s policies or to anti-American sentiment in the South. “They have sent an assortment of fliers reflecting extensive preparation and yet contemporary commentary,” said Foley. 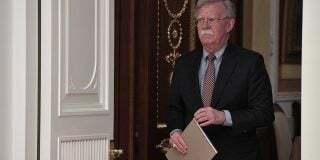 Pro-North Korean leaflets found in early October attacked the Trump administration and current U.S. policy towards the DPRK, as well as showed off Pyongyang’s military capabilities against Washington. Leaflets promoting North Korea’s September 3 hydrogen bomb test were found in the Gwanghwamun area days earlier, while a design criticizing South Korean President Moon Jae-in’s policies was spotted on the Yonsei University campus. The leaflets’ arrival in Seoul throughout October follows an extended period during which North Korea appeared to refrain from sending printed propaganda messages to Seoul. The leaflets were seldom found following March to October. 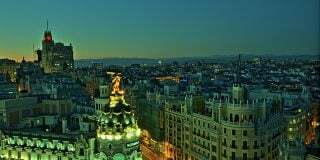 “For thirty years balloons have made great propaganda tools for both sides, and the weather dictates who gets to send and who must receive,” Foley added.